When it comes to the Hitches, the name of our company is identified as the emerging Manufacturer, Supplier and Exporter of Pintle Hitches. The Pintle Hitches are made available by us as per the varied necessities of different industries. We make use of top-notch raw material to deliver quality array of Heavy Duty Pintle Hitches. 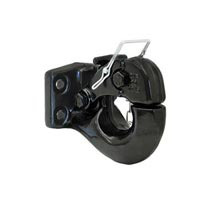 Buyers are free to place bulk orders of Swivel Pintle Hitches with us.